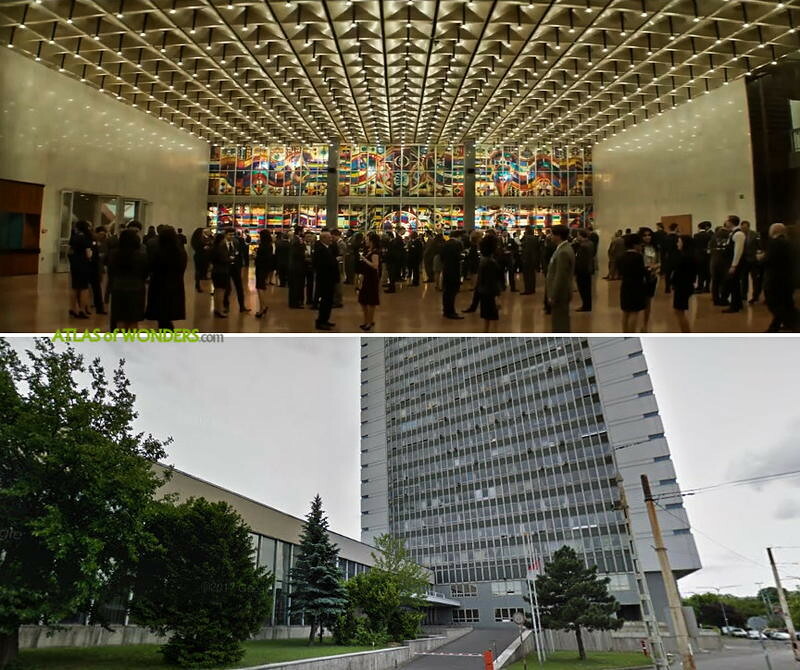 Filming Locations: Where was Red Sparrow filmed? The Hunger Games star Jennifer Lawrence developed a funny accent to get into the skin of Dominika Egorova, a former Bolshoi theater ballerina. She is forced to become a seductive and glamorous spy, working for the Russian secret service. The CIA secret agent is played by The Great Gatsby actor Joel Edgerton. Oscar winner Jeremy Irons has a prominent role as General Vladimir. 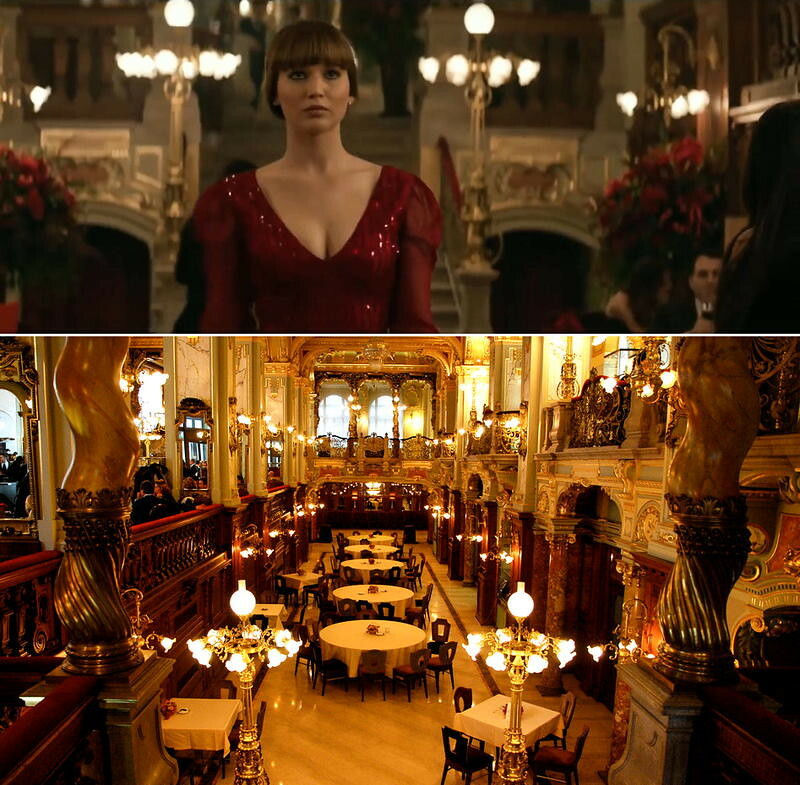 The opening sequence was filmed at the magnificent Hungarian State Opera House in Budapest. 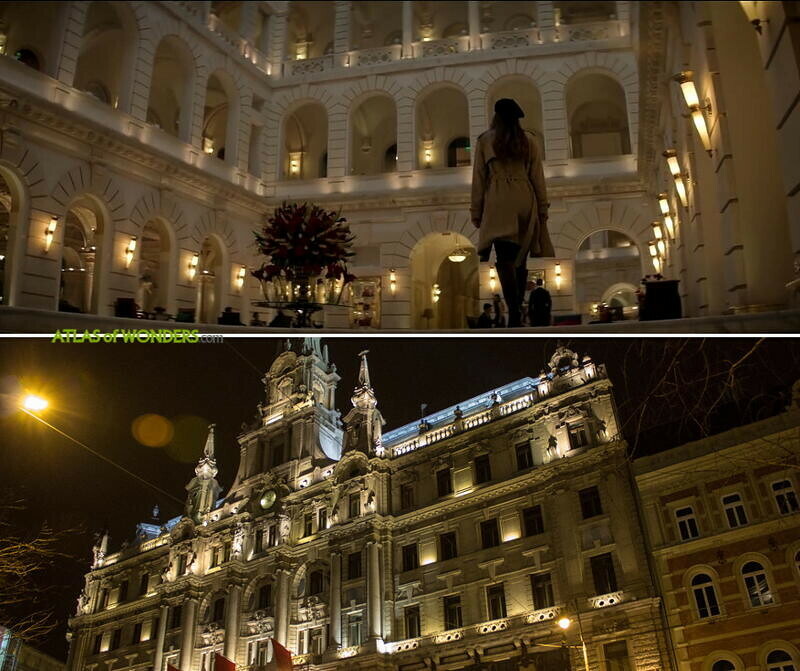 The Boscolo Budapest Hotel served as a luxurious and dazzling backdrop for a key scene. 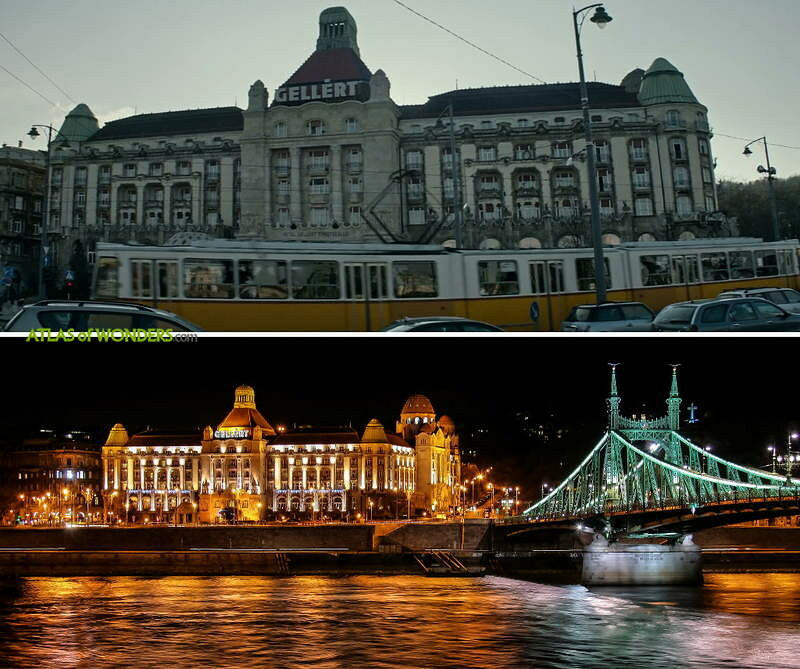 Some more filming took place at the legendary Danubius Hotel Gellért. Dominika meets Maxim at the real striptease bar HalloBár Budapest. 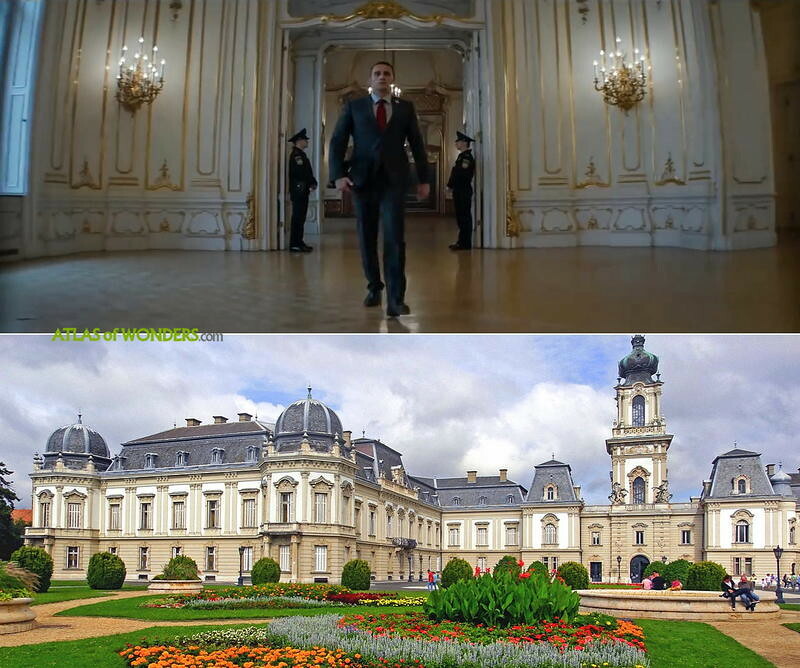 The secret intelligence service Sparrow School was set at the 19th century Festetics Palace in Dég. 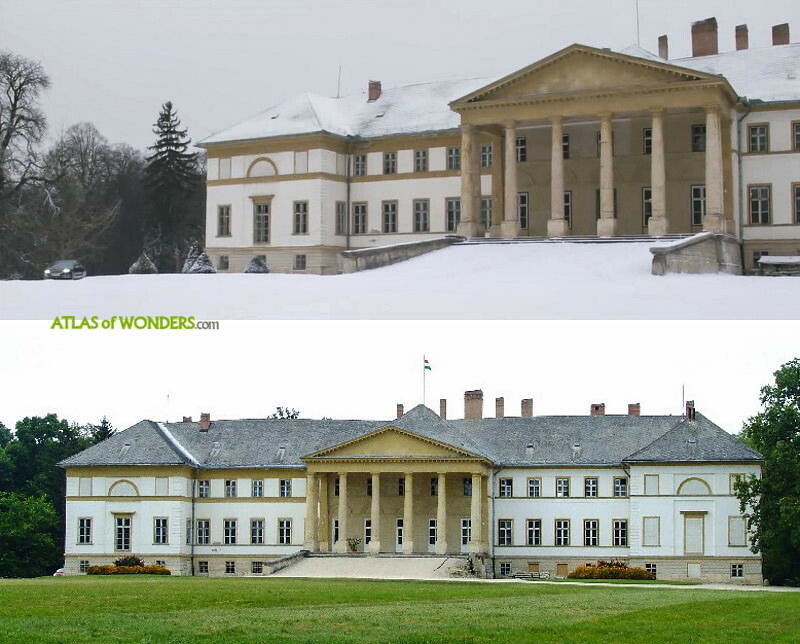 Some interiors were shot in the Festetics Palace located in the city of Keszthely, west of Lake Balaton. 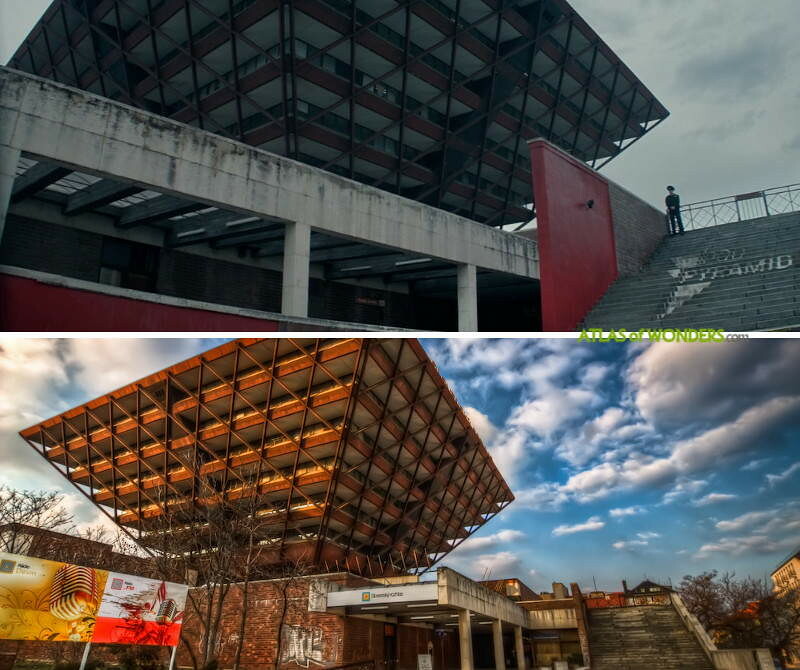 The Fabó Éva Swimming Pool is located in the industrial city of Dunaújváros. 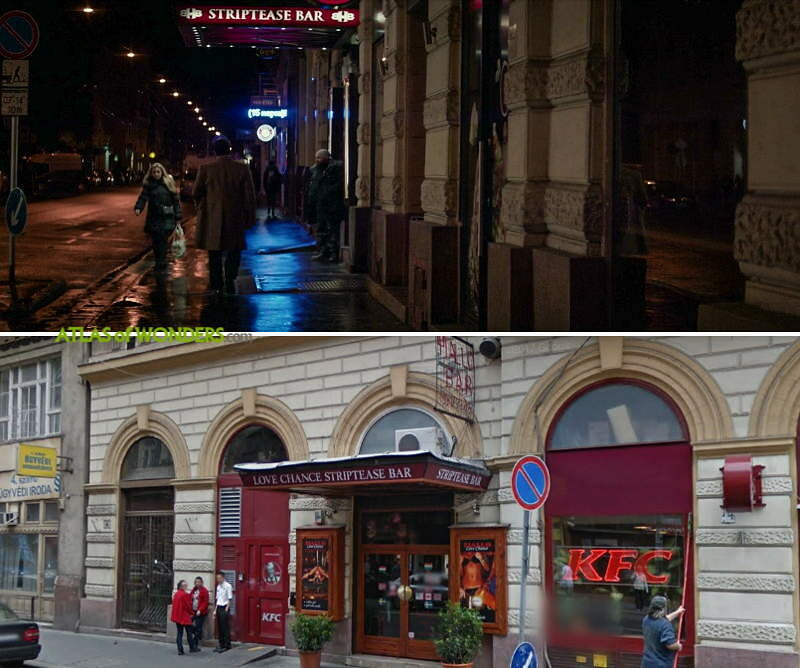 There is a short scene taking place in Michaelerplatz, one of the most elegant squares in Vienna. 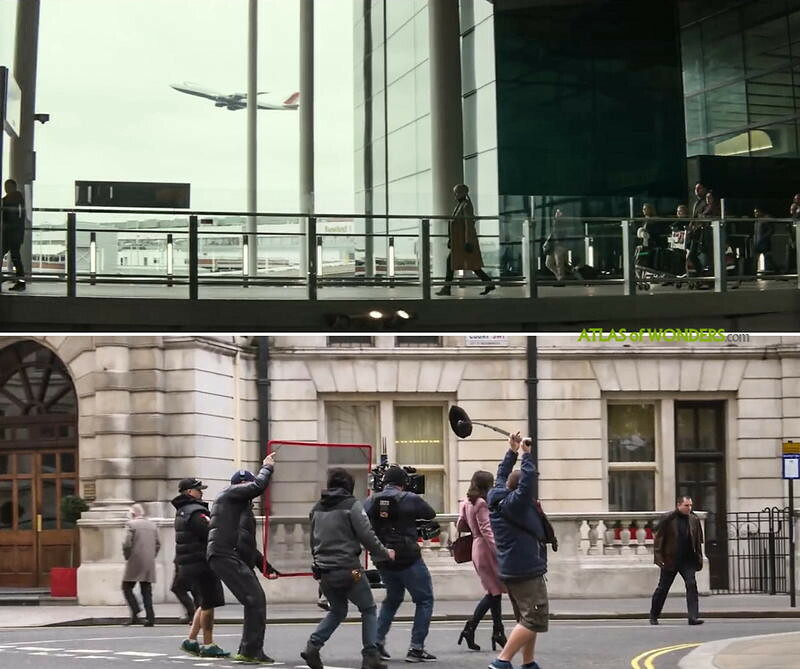 The crew was also filming in London, at Corinthia Hotel in Westminster and in Heathrow Airport Terminal 2. 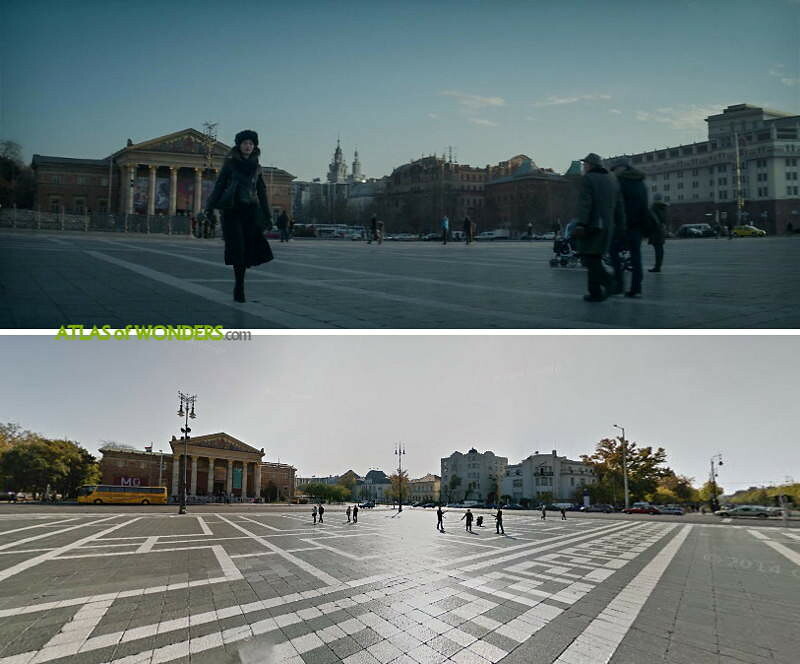 Can you help to improve this article about the filming locations of Red Sparrow? To complete and correct this report, any feedback, info or images that you may have are more than welcome, thank you! When the American spy runs away from the police at the beginning, I think he runs past the Soviet war memorial in Treptower Park, Berlin. I really wanted to know where is that room from that hotel that has the green stone bathroom. Thank you. 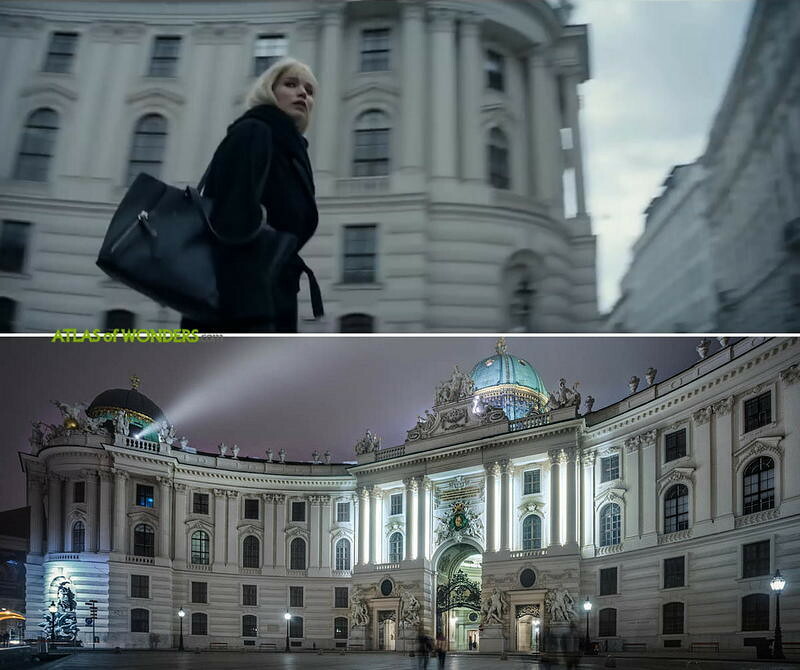 The scene in the beginning of the movie when she enters the opera house is filmed in Budapest - Heroes Square, but some building were changed during post production.